Despite the development of ties, the relationship remains largely founded on Iraqi oil and gas. Iraqi Prime Minister Haider al-Abadi arrived in Beijing on Tuesday for a two-day visit, Abadi’s first since assuming office in September 2014. During Abadi’s visit, China and Iraq issued a joint statement upgrading their relationship to a strategic partnership. In a meeting with Abadi, Chinese President Xi Jinping praised the development of China-Iraq ties, and said that the new strategic partnership would provide “a solid foundation” for future advances in the relationship. Xi also pledged Chinese assistance in “energy, electricity, communication and infrastructure” projects in Iraq, which he tied to China’s “Belt and Road” initiative. In his own meeting with Abadi, Premier Li Keqiang repeated that promise, and also mentioned building up Iraq’s production capacity in certain manufacturing industries. But energy in particular remains in the bedrock of China-Iraq relations, as China’s oil imports have skyrocketed over the past decade. China imported just 1 million tonnes of oil from Iraq during the whole year of 2006. By contrast, in January of 2015 alone, China received 3.4 million tonnes of oil from Iraq, making the country Beijing’s second-largest oil supplier (behind only Saudi Arabia). Chinese oil firms expected to import about three tonnes of oil per month from Iraq in 2015. Overall, China imports nearly half of Iraq’s total oil production. 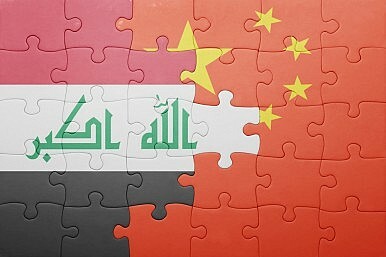 On Tuesday, China and Iraq signed a memorandum of understanding (MoU) on oil and gas, pledging a “long-term and comprehensive strategic partnership on energy cooperation.” The two countries vowed to expand their already-considerable cooperation in the energy field, with more investment going to boost the oil trade as well as exploration and development of oil and gas fields and the construction of infrastructure for storing and transporting energy resources. However, expanding energy cooperation is easier said than done. China’s existing oil investments in Iraq face threats from security concerns, notably the Islamic State. While Chinese-invested oilfields (which are largely clustered in southern Iraq) have mostly been spared from the IS threat, the crisis within Iraq has seriously limited the country’s ability to extract and export oil as planned. In 2014, China and Iraq were supposed to double their oil trade due to new contracts and investment from Chinese firms; only half of that increase was actually realized. “We can destroy Daesh… But we need proper intelligence and proper air cover and support,” Abadi said. That’s not something China can (or is willing to) provide, despite Beijing’s own serious concerns about terrorism. Instead, Beijing is continuing to offer the same prescription for Iraq: economic cooperation, focused on the energy sector. Despite major interests in Iraq, China is unwilling to get involved in the current conflict.